Updated Monday, June 9, at 4:58 p.m.
Gov. Peter Shumlin filed paperwork Monday afternoon to seek a third two-year term as governor of Vermont, according to the secretary of state's office. Candidates for statewide office must submit nominating petitions signed by 500 Vermonters by the end of the day Thursday. According to elections administrator J.P. Isabelle, the Democratic incumbent turned in enough signatures Monday to secure a berth on the ballot. Shumlin's candidacy for reelection is not at all surprising. He told Seven Days last December that he planned to seek a third term. 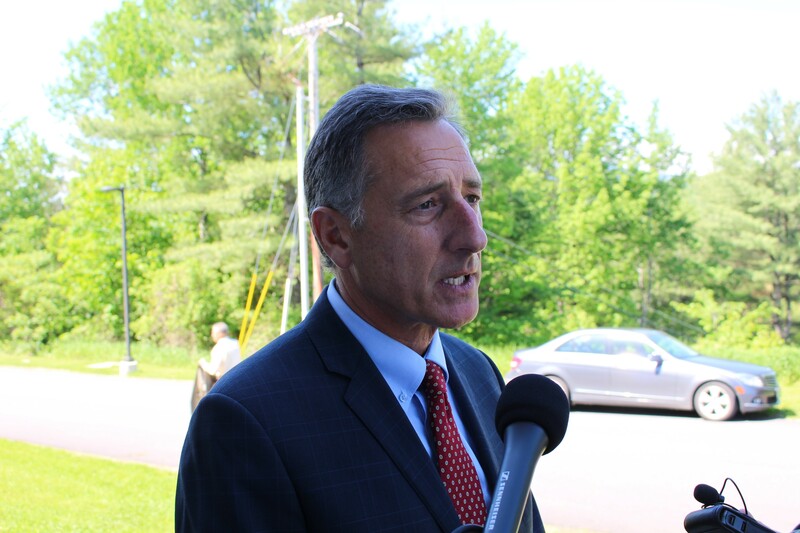 But as he did when he ran for reelection in 2012, Shumlin has thus far declined to discuss the race with reporters, saying he will not campaign until Labor Day. According to a list posted by the secretary of state's office Monday afternoon, four other candidates have submitted petitions to run for governor: Republican Emily Peyton, Libertarian Dan Feliciano and independents Cris Ericson and Bernard Peters. On Sunday, 2012 Republican gubernatorial nominee Randy Brock announced that he would not challenge Shumlin again this fall. Pomfret resident and Milne Travel president Scott Milne told Seven Days on Monday that he has collected enough signatures to win a place on the ballot, but hasn't yet decided whether he would enter the Republican primary.